Hello! So happy to show you my final design for the Nail Art Fashion Week 2016 challenge! I told you I would finish ;) Though it took way longer than scheduled, at least I can say I completed it. The week long challenge ends with recreating a nail art design from the Fall 2016 runway. 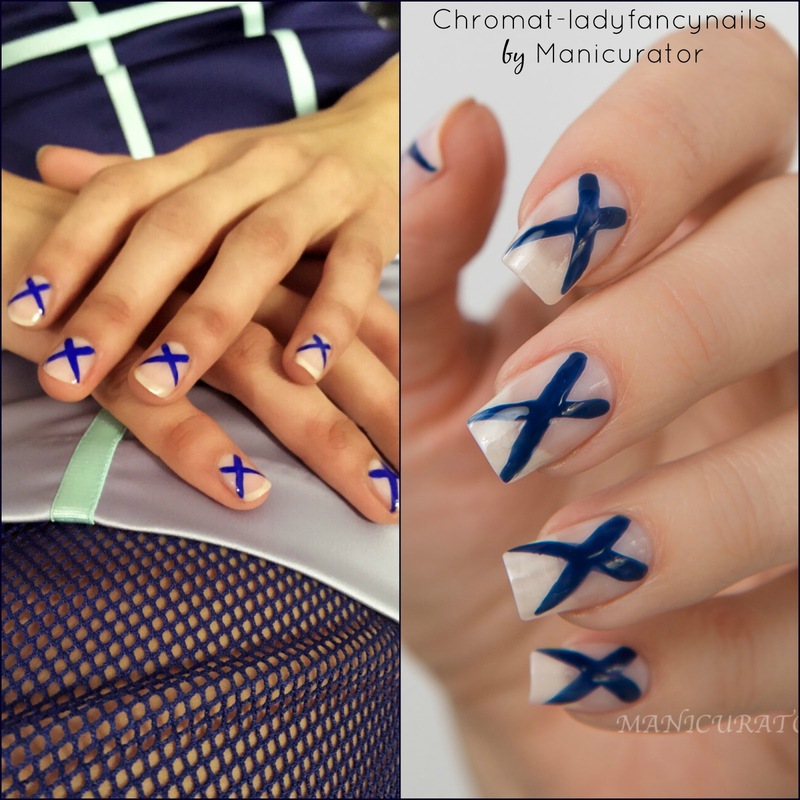 I chose this super simple design by http://ladyfancynails.com/ for Chromat. I used Smith & Cult Pillow Pie and Kings & Thieves for the free hand X. This was pretty simple to do, with a striking result, I think. The lovely Smith & Cult Pillow Pie. Great formula, I painted only one coat here, because I wanted to have that translucent effect. 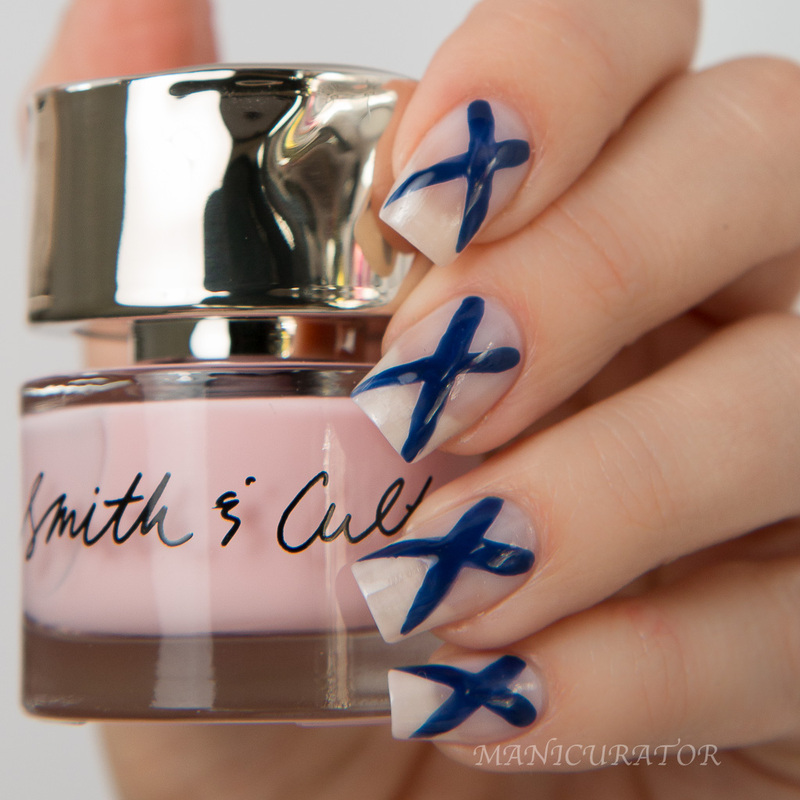 I used a medium size nail art brush and painted on the X with Smith & Cult Kings & Thieves. I only needed to go over it a second time in a couple of spots. What do you think? Would you wear these for an everyday look? Can you imagine them for runway nails? I sure can! I loved how they looked on my nails!